Can you smell what the WWE is cooking? WWE: The Official Cookbook gives fans a guide to creating a variety of fun dishes and drinks inspired by the WWE Universe of both the past and present. Indulge yourself with killer recipes like The Rock's Jabroni Marcaroni Salad, John Cena's Fruity Pebble Treats, and Macho Man’s Savage Nachos. 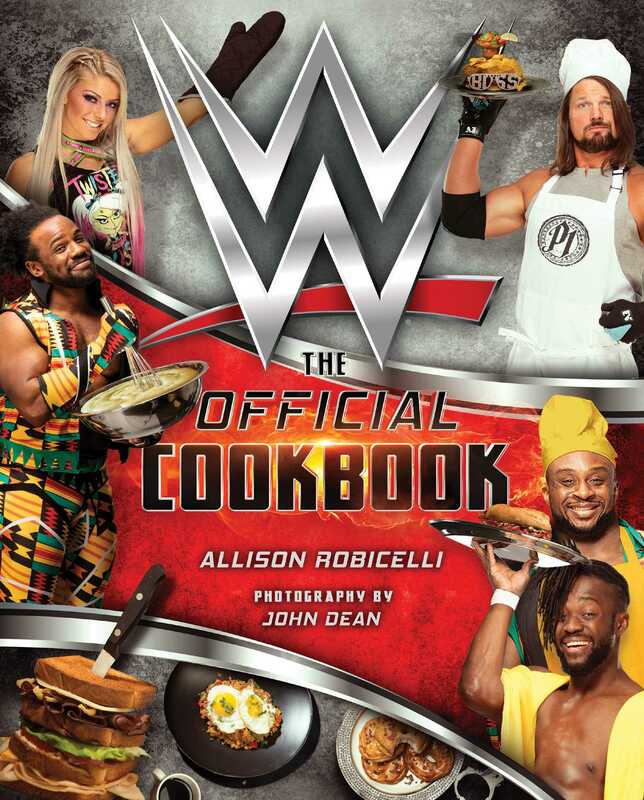 Featuring over 75 recipes and striking, full-color photographs, WWE: The Official Cookbook will feature separate categories for food and drink, from appetizers to desserts, creating the ultimate recipe collection for fans of the WWE. "So, whether you want to go casual with Nacho Man Randy Savage or drink it in with the Ayatollah of Capicola, if you’re looking to make accessible impressive dishes and are prone to having the WWE Network on in the background, you won’t be disappointed with this book." "It is absolutely puntastic...Allison Robicelli should be absolutely congratulated. The level of humor is epic."